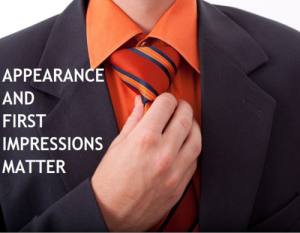 Appearance Matters: is your website making a good first impression? Is the information here reliable? Who’s the author behind this website? Can I trust this Real Estate Agent? These are all of the various things site visitors are thinking when they land on your website. Your sites design, color, layout and navigation are all going to have an impact on what they think. That first impression. Are you making your site visitors feel welcome? And can they find what they’re looking for quickly? Achieving a warm, welcome and easy to navigate design is going to ensure that you’re site visitors engage with your site longer so that they spend more time considering what you have to offer (helping them buy/sell real estate). Simple logo/tagline. Your site should quickly and simply communicate who you are and what your website is about. Make it easy to search for homes. dsIDXpress and dsSearchAgent help you do that and now, you can test-drive both! A thorough About page. This is still one of my favorite about pages. It tells me about the site, about the Agent(s) and has all kinds of contact information. A Testimonials page. What other’s say about you and your work is much more powerful than what you say about yourself and your work. Here’s a great testimonials page from Real Estate Agent Cyndee Haydon featuring video testimonials from previous clients. What would you add? What else could you do to establish a good first impression with new site visitors to keep them coming back to your website? BONUS: This is an excerpt from an ebook that I’m publishing here on the Diverse Solutions blog titled – Real Estate Website ‘Must Haves’ for Driving Traffic, Leads & Sales – subscribe via email to get the Free download. Majority of my MoneyMaker clients (Real Estate Website provider) Need to see this post. Our website provides the opportunity to utilize these effective tips but somehow they miss the point. It’s already in the default settings but somehow they do not use this.